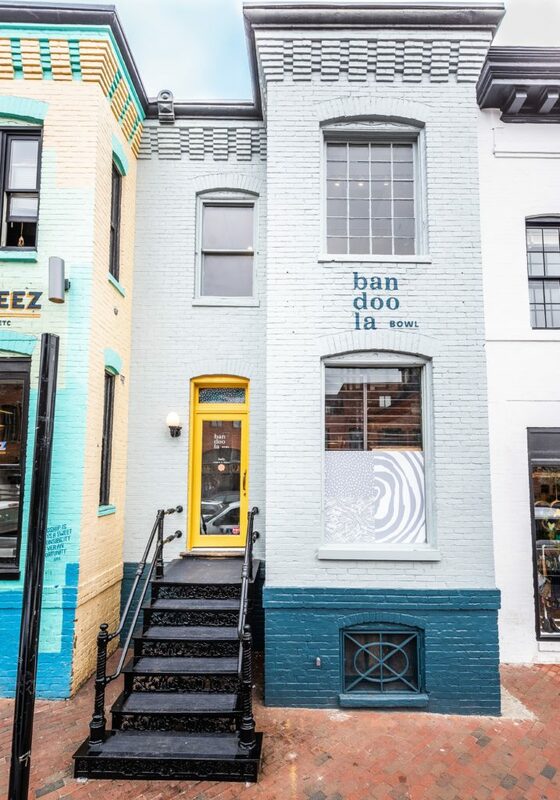 “Bandoola Bowl, a Southeast Asian salad shop from 25-year restaurant industry veteran Aung Myint, announces an April 23 opening date at 1069 Wisconsin Avenue NW in Georgetown. 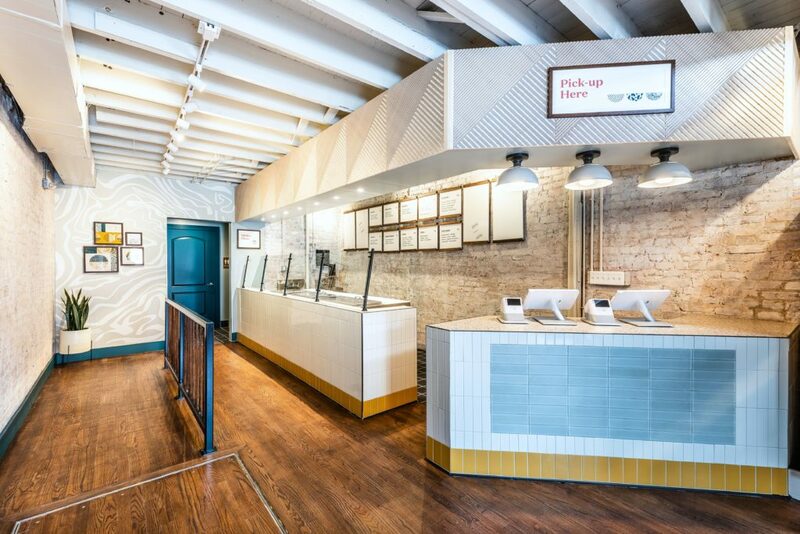 The 2000-square-foot, two-story fast-casual concept explores Burmese cuisine, which often carries the scents and flavors of neighboring China, Thailand, and Vietnam, through approachable, ingredient-packed salads. 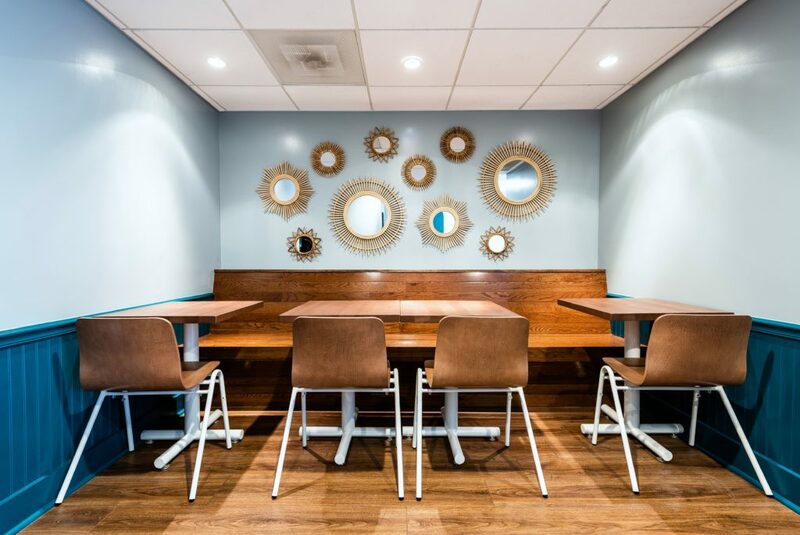 Myint opened family-run Burmese dining staple Mandalay in Silver Spring, Md. in 2004, and worked with his mother, Mandalay’s head chef Hla Hme, to develop the recipes for Bandoola Bowl’s menu. Bandoola Bowl takes its name from General Maha Bandoola, who fought against the British in the First Anglo-Burmese War in the 1800s, and used his prowess riding and handling war elephants as a key strategy in his resistance efforts. Later during the Second World War, his heroic namesake elephant helped Burma defeat Japan. Both the commander-in-chief and the war elephant Bandoola are celebrated as national heroes in Burma. 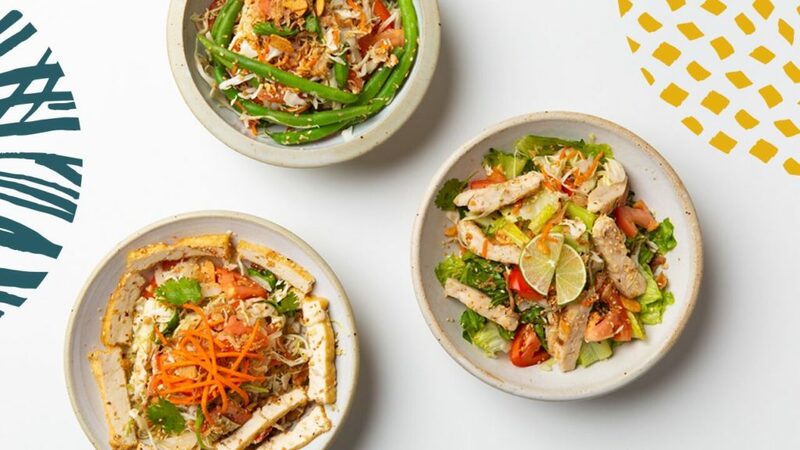 Bandoola Bowl’s menu of Southeast Asian salads is a celebration of texture, where thinly sliced or chopped vegetables and shredded cabbage offer a base for toppings and toss-ins like fried garlic and shallots, crispy yellow split peas, chopped peanuts and sesame seeds. Already brimming with ingredients, these layers of fresh greens and crunchy textures are bolstered by a central vegetable, fruit, or protein – from steamed broccoli, raw shredded ginger, fresh green papaya and mango to roasted pork, grilled chicken, steamed shrimp and lightly fried tofu. Adding further zing to each salad is a signature Burmese dressing, which lends a pop of citrus with fresh squeezed lemon juice and the bold umami of fish sauce (also available as vegetarian without fish sauce). Salads are available made-to-order for dine in and take out, or fully prepared to grab and go from a refrigerated case. Other accompaniments to expect are a selection of naan-style breads served with each salad, available plain or flavored with onion and garlic chili, as well as a lineup of sauces to further customize the salad experience. Among these are an herb-forward mint, spring onion and basil sauce, a Thai papaya dipper spiked with red chili flakes and fish sauce, and a Vietnamese dressing with sriracha, vinegar and fish sauce. Hme, the family matriarch and source for many of Bandoola Bowl’s recipes, personally grows and tends to 100 pounds of a proprietary Burmese-Thai hybrid pepper in her backyard, harvesting the chilies used in the naan and other condiments. Rotating seasonal specials, such as coconut curry chicken soup and other savory sides, and shweji, a Burmese semolina cake, round out Bandoola Bowl’s food offerings. Beverages include specialty soft drinks like Found Soda, a line of naturally sparkling water in flavors like elderflower and watermelon basil, hand-crafted Boylan Soda, and Japanese ITO EN teas. Myint worked closely with both Swatchroom, a local design and architecture firm, and General Design Company, a boutique branding and creative services studio, to translate Bandoola Bowl’s bold flavors to its physical surroundings, updating the historic building with a lively and inviting palette of bright orange, yellow, and teal. Along the back wall beside the ordering counter is an oversized patterned print reminiscent of a halved head of cabbage. Other framed prints throughout the space portray patterns inspired by the vibrant ingredients present in the kitchen, whether sliced onions, julienned papaya, or shredded ginger. 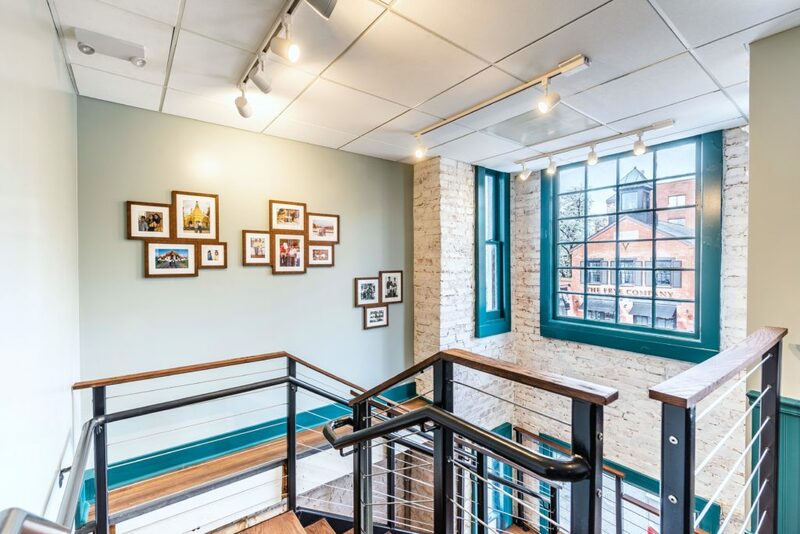 Bringing a touch of warmth and nostalgia to the decor are collages of the Myint’s old family photos, framed and hung along the staircase leading from the first-floor kitchen to the second-floor dining area, which offers 16 seats. Myint took similar care in designing the recyclable bowls that hold Bandoola Bowl’s salads, each made with a locking mechanism for transporting multiple salads with ease.